When David Letterman had heart surgery and did well, many people had questions. We all seem to know of someone who died suddenly from heart disease. How did Letterman know he should be worried? What tests did he have that discovered he had a problem? We know that when heart disease is found early, lives can be saved. Let's take a look at David Letterman's story as an example of being aware of your risk factors, requesting further tests if needed, and ultimately being an advocate for yourself in your health care. If late-night talk show host David Letterman were ever to write a Top-10 list of the reasons he needed coronary artery bypass surgery at age 52, chief among them would probably be that his father died of a heart attack at the same age. Letterman was fortunate enough to escape his father's fate—but not without intervention. A routine checkup in early 2000 found a significant arterial blockage around his heart. Quintuple bypass surgery performed after an angiogram put the comedic giant among the ranks of the roughly 260,000 Americans who undergo the lifesaving procedure every year. Letterman suffered no complications and spent several days in the hospital. He returned to host the Late Show with David Letterman after a six-week recuperation. "In addition to re-routing the arteries," Letterman joked after surgery, "they also installed an EZ Pass." His first live show after returning featured eight members of the medical team that cared for Letterman during his hospital stay. The doctor who performed Letterman's surgery said he had "the heart muscle of a 20-year-old." Angiograms involve threading a catheter and injecting dye into the heart vessels to see blockages by x-ray, while bypass surgery re-routes blood flow through grafts, or replacement vessels, to bypass blocked vessels. Letterman had an angiogram upon the recommendation of his doctors, because of his family's history of heart disease. If an angiogram shows blockages, then "bypassing" the vessels may be recommended. The main goal of bypass surgery is to prevent heart attacks, which strike 920,000 Americans annually, killing 157,000. The heart has five major arteries. When a coronary bypass is performed, it replaces one or more of the blocked vessels. In a quintuple bypass, all five have blockages and need to be replaced It is often done as a scheduled surgery, but in Letterman's case, it was done as an emergency procedure. The grafts used are taken from the leg and sometimes from the arm. 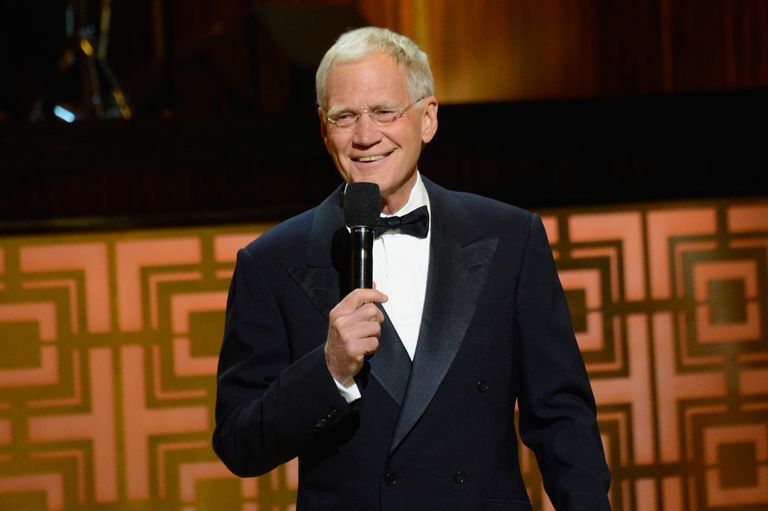 Letterman's father, Joe, survived a heart attack at the young age of 36, at a time when Dave was under six years old, leaving Dave worried about losing his father throughout his younger life. Joe died of his second heart attack at age 57 in 1973 when Dave was just 26 and still living nearby in Indianapolis. He moved to Los Angeles to start his comedy writing career a couple of years later. Letterman has also been known to enjoy cigars, another risk factor. He alluded to his ominous family history and high-cholesterol levels during a presurgical interview with Regis Philbin, who underwent a successful emergency angioplasty to unclog cardiac arteries in 1993. He admitted to being an alcoholic for many years, then stopped drinking. Excess alcohol consumption can contribute to the risk of heart disease. Letterman's rapid return to television life was unmarred by further cardiac problems. He signed again and again with CBS to continue the Late Show. He decided to retire and his last show was aired on May 20, 2015, at age 68. He married wife Regina Lasko after they had a son born in November 2003. He lived a full business life with numerous projects as well as a full personal life. There are many different factors which can increase your risk for heart disease, and these are referred to as risk factors. Not all risk factors are equal, with some causing more risk than others. Yet, in general, the greater number of risk factors you have, the greater the chances that you could have blocked arteries; blockages which could lead to a heart attack and/or sudden death if not treated. A family history of heart disease is very important, as illustrated by David Letterman. If a person has perfect blood pressure, perfect cholesterol, and is health nut regarding diet and exercise, he could still be at significant risk of a heart attack at a young age if his parents (or other relatives) had heart disease. Too often people think they are immune because they have a healthy lifestyle. Looking at David Letterman's story is a good reminder about heart disease, but it's worth mentioning that heart disease in men and women differs in a number of ways. Risk factors in women include things such as the use of birth control pills (especially in people who smoke). Symptoms of heart disease in women are often different as well, and this is thought to be part of the reason why heart attacks are more likely to be fatal in women. Symptoms such as fatigue, mild shortness of breath, and vague sensations in regions such as the neck, back, and jaw may be the only sign that something is amiss. Even the diagnosis can be more difficult as women often have blockages in the small arteries of the heart which aren't seen as well on an angiogram. Looking at David Letterman's life illustrates how to be your own advocate for your health care. He was aware of his risk factors for heart disease and shared these with his physician. He had regular follow-up visits with his doctor, and apparently chose a doctor who had taken a careful medical and family history and listened. He followed through on recommendations for his angiogram. And when the angiogram showed blockages, he had bypass surgery quickly. Not all people are as fortunate. Roughly a third of people who have a heart attack have "sudden death" as their first symptom. Don't wait until you have symptoms of heart disease, and don't dismiss symptoms that are somewhat atypical. American Heart Association. Cardiac Procedures and Surgeries. Updated 05/27/17. American Heart Association. Heart Disease and Stroke Statistics 2017. Centers for Disease Control and Prevention. Heart Disease Risk Factors. Updated 08/10/15.